Recycled Timber Factory is a family owned and run business based in Boolaroo situated in the Lake Macquarie region. 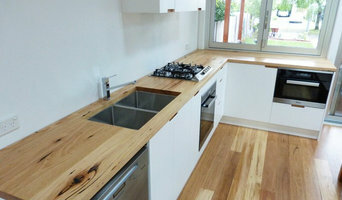 We specialise in Recycled Australian Native Hardwoods that we mill onsite. We offer an extensive range of recycled hardwood products from stunning custom made furniture pieces and cabinetry through to architectural posts and beams and furniture grade timbers for the D.I.Yer and tradesperson. Round 2 Timbers is the Hunter's leading supplier of recycled and reclaimed Australian hardwood timbers. Our ethical and sustainable practices have earned us a solid reputation. We custom mill products of excellence, include timber bench tops, kitchen island tops, table tops and vanities, along with flooring, decking and unique furniture pieces made to order. 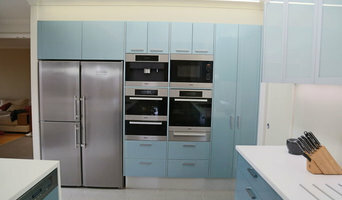 Established on the Central Coast over 34 years ago as Homestead Kitchens & Joinery. We are now trading as HK Joinery Design & we can provide all the joinery services you'll need. As experts in modern and innovative designs we can build state-of-the-art kitchens and Alfresco dining areas. 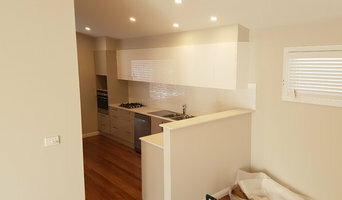 HK Joinery Design can also complete all your kitchen renovations and custom joinery projects. We have experience in restoring older kitchens to their former glory and creating a great new look on a tight budget. Talk to us about your project and arrange a quote today. Kitchen renovations have never been easier and more magnificent. We can also design joinery for your laundry, bathrooms, wardrobes, home office & media units. At Lifestyle Custom Cabinetry we specialise in kitchens, bathrooms, laundries as well as custom built furniture items such as bookcases, TV cabinets, display cases and other storage or display solutions for your home or workplace. 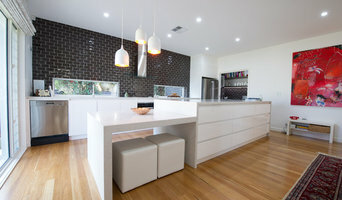 Taylors Kitchens is based in Newcastle, NSW, providing quality kitchen and cabinet design and products to the local and greater NSW/ACT region. We can construct your ideas into a well crafted kitchen, cabinet, study, or storage solution. We have worked on residential and commercial scale projects and have transformed innovative, cutting edge designs into a functional, installed product. We have over 30 years in the joinery business and the expertise to deliver your dream kitchen or the perfect storage solution for your home. Elite Kitchens & Bars was first established in 1998. We are a small family business with a combined experience of over 50 years. Our knowledge and long history of happy repeat clientel is the reason why we are now and always will be here to help you. Joinery and cabinet makers are mostly known for their work in kitchens and bathrooms, but their skill set goes much further than that. It is important to understand the difference between carpenters and cabinet makers, which lies in the detail of work. Carpenters tend to work on larger structural projects and this is why many become builders, whereas cabinet makers are masters when it comes to the finer detail. 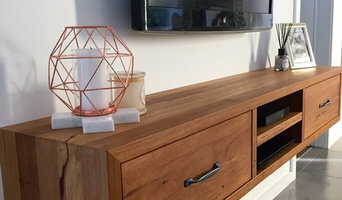 So if you’re looking for detailed woodwork like custom-made furniture for your living room or smart storage solutions, you’ll be sure to find a Newcastle, New South Wales cabinetry expert in the Houzz directory of professionals. What Do Newcastle, New South Wales Joinery and Cabinet Makers Do? If you know what you want and are ready to take the next step, scroll through this page to find joinery and cabinet makers in Newcastle, New South Wales. As mentioned, you can browse their latest projects, read reviews and see how other homeowners rate their work, and message them directly. You can also look through Photos to find examples of joinery you like, then contact the professional who worked on them.